In a legal notice to the Maharashtra Pollution Control Board (MPCB), activists Asim Sarode and Vishwambhar Choudhary have said that such a rally would create huge traffic problems as well as troubles for the Mumbai commuters. 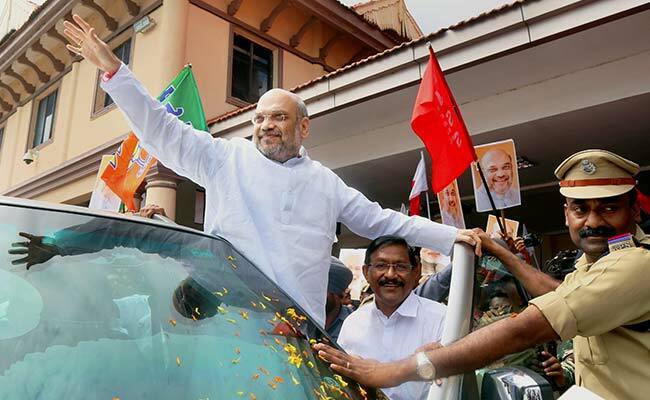 Pune/Mumbai: Some Pune-based environmentalists on Wednesday objected to a planned welcome rally with 10,000 motorcyles in the honour of Bharatiya Janata Party (BJP) President Amit Shah in Mumbai this week. Besides, the motorcycles vrooming across the city would create avoidable air and noise pollution, which would be compounded by traffic snarls, congestion and more noise with people blaring their vehicle horns, they pointed out. "Such unwarranted rallies need to be checked, and as it is not part of any inevitable pollution, the MPCB needs to measure air and noise levels during the rally on June 16," said Mr Sarode and Mr Choudhary in their legal notice. They urged the MPCB to measure the noise and air pollution levels at least four hours before, during and four hours after the rally and make its findings public. For causing noise pollution and disturbing the ambient air quality to make it toxic, the MPCB must lodge suitable complaints against the rally organisers, they demanded. "If the MPCB fails in filing their mandatory legal responsibility, we will be compelled to approach the Bombay High Court or the National Green Tribunal (NGT), Pune, for seeking environmental justice in the larger public interest," warned the activists. Mr Shah is planning to come on a three-day visit to Mumbai from Thursday as part of the third anniversary celebrations of the BJP government at the Centre led by Prime Minister Narendra Modi.